There are two types of chefs. The blokes that improvise and the ones with a furious fixed cooking pattern. 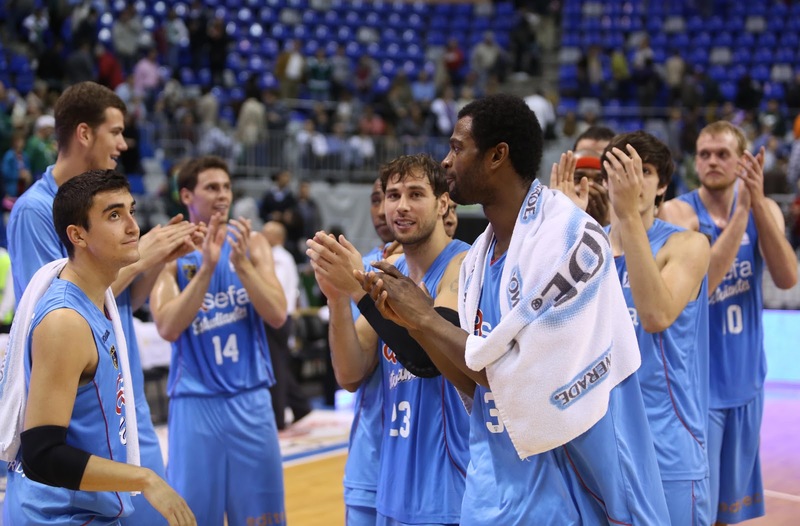 The fifth win of the season was one example of steady cook at Malaga. Asefa Estudiantes streak is 5-3 now. CLUBESTUDIANTES.COM.- Only seven days after Sunday nightmare as locals vs CAI, Asefa Estu reacted to get a win using own cooking tricks: Defense, fighting every ball and run the court. As a visitor, only European top Maccabi had been able to win at Unicaja home. Ingredients: Kyle Kuric "sous chef" attack and defense powder, a big t-bone of center Germán Gabriel and some drops of spicy Jayson Granger combo sauce. Germán Gabriel opened the can up with a three-pointer. Unicaja reacted from the physical side and got a short lead quite soon. None of the two teams rejected the multiple shooting options and the constant fight. Whereas Barnes and Granger got involved into fast fouls, Germán stirred the pan with some more long shoots. Lucas Nogueira in the inside and Kyle Kuric from the outside kept the fire alive. Asefa Estudiantes had it on the right way. Just remember Asefa Estu wins every time first quarter score is over 23 points. Guard Jaime Fernández and the kid from Louisville secured a 18-28 at the end of the quarter. The almost-retired Carlos Jiménez brought fresh air to the locals in only three minutes. Marcus Williams made it possible for Unicaja with a combination of assists. There was the moment for the Calloway show. The guard from Atlanta clutched his last three-pointer (then he went down for a horrendous 1/6) and Txus Vidorreta felt forced to stop it. Enough, boys! We are giving too many inches to forwards this year. The recipe was boiling slow and there was too much of contact and too little of basketball for some time. 5.900 attendance got a break with a +4 difference for visitors. Could Asefa Estudiantes keep on with the heating of would the gas run out? As usual, ex-Estudiantes have an extra motivation when playing us. This time it was old mate Txemi Urtasun (75% 3p) who afforded scoring and knocked the defensive system of visitors. Two of the three flying balls from Marcus Williams made local green shirts to lead. Nevertheless, Asefa Estudiantes was geting out of the mud. It wouldn't last too much. It was the bad blurry moment from the visitors. Period. Last quarter stormed thanks to a couple of guys. One of them is an elegant big lad. Germán Gabriel matched the game and helped with some left hand hooks. The other one took off from the Martin Carpena ground and flew high for a rough ten thousand feet. Suddenly, it all went ok. A very intense five minutes regarded us the first games of the season. In an increasing street fight mood, Asefa Estudiantes pressed the pasing lines and Kyle Kuric finished an outstanding game: 16pt, 3 rebs and a 100% average from free throws and 2 point shots. 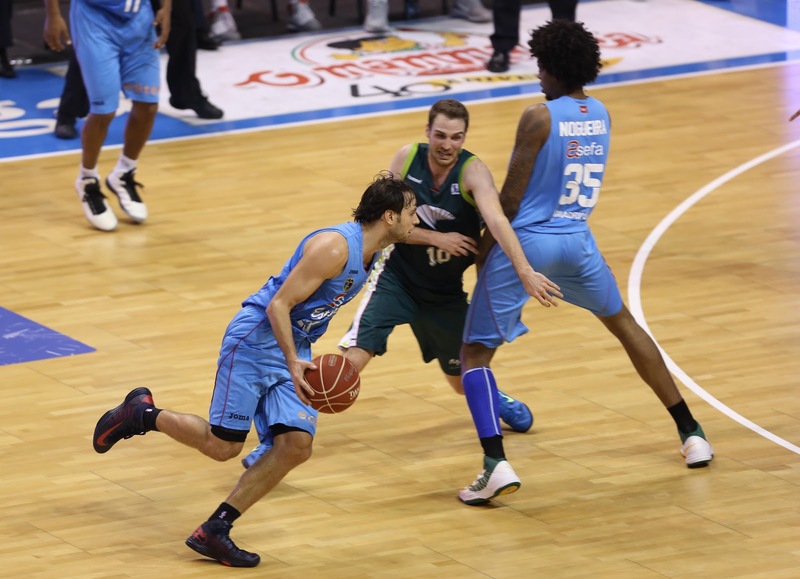 Unicaja had to surrender to a playoff-level team. Intensity and getting physical is the magic trick for Vidorreta's culinair creations. A team that has found the secret of good cooking. Dipping sauce. Ask your local chef for an antidote.